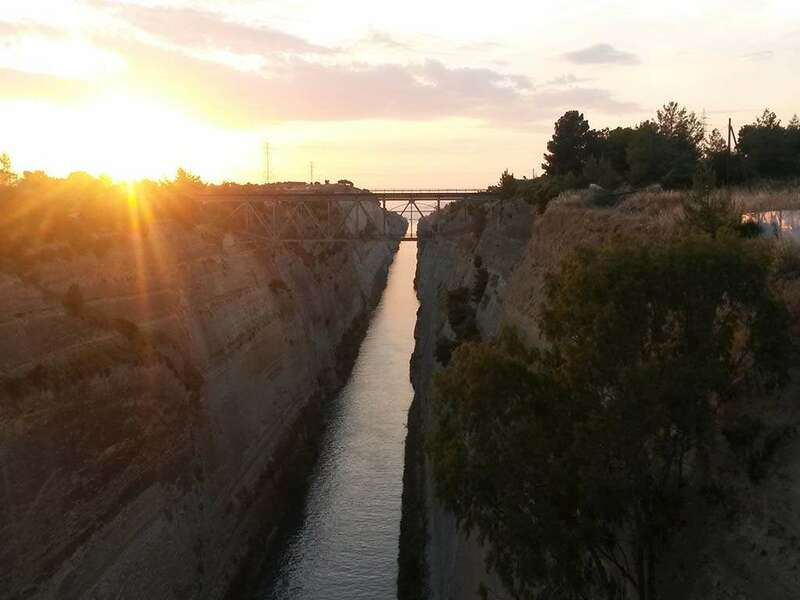 The prefecture of Korinthia or Corinthia is the gateway to the Peloponnese from the mainland, characterized by the famous Corinth Canal or Isthmus of Corinth. More importantly, it is a nature lover’s paradise with lakes, springs, uninhabited islands and rolling hills – almost like a little country in itself. The town of Trikala in Korinthia (not to be confused with Trikala in Thessalia) is quite green and visitor friendly, even if eco-tourists can seek out even more remote locations such as Nemea, Goura, Sofiko, Feneos and some of the mountainous terrain. Mount Ziria (or Killini) has a modest ski resort and offers activities such as snow-shoeing in winter, while the village of Kastania at over 900 meters is also an interesting destination during both summer and winter. Noteworthy too is the Ziria Mountaineers’ hostel tucked away among the fir-tree slopes. Ziria is a paradise full of robust fauna and flora, with many endemic plant species and rare animal species that make it particularly interesting for the nature-minded. 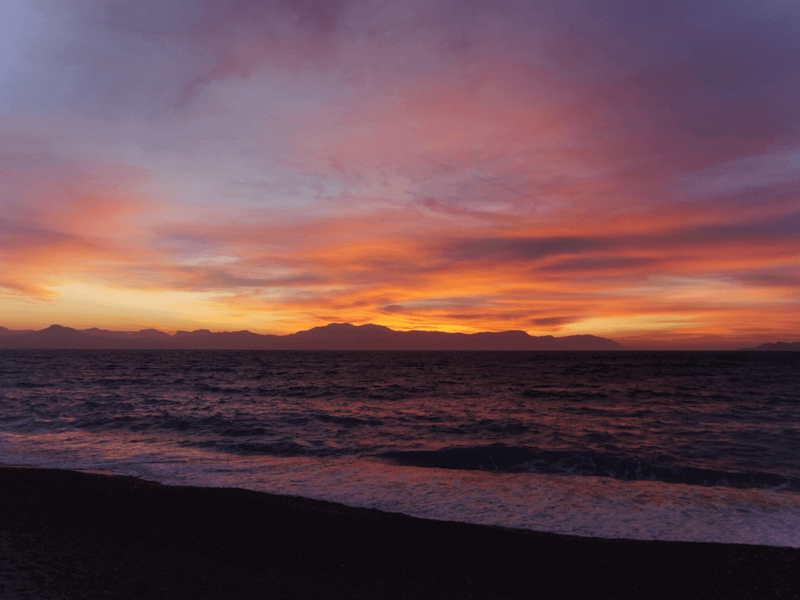 The mountain, after all, is the second highest in the Peloponnese after Taygetus. About 113 plant types of the 1000 found on Ziria are endemic to the region. Its numerous hiking paths will let reveal the very rich biodiversity of the Mediterranean mountainside. 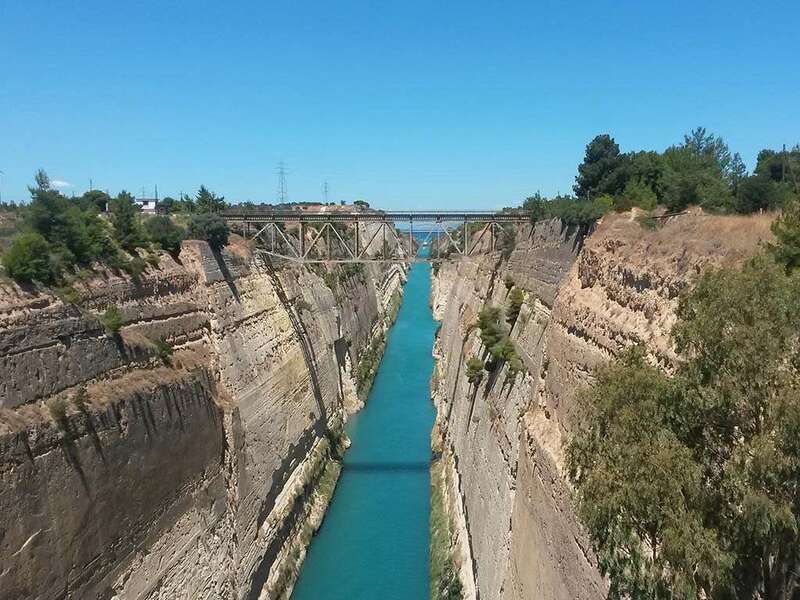 Cycling, hiking and multi-faceted historical ruins will render this prefecture interesting to visitors, so will the two gulfs it straddles (Gulf of Corinth and Saronic Gulf), both ideal for swimming. There are also hot springs such as in Loutraki, which falls on the mainland side of Korinthia, as well as in other areas of the prefecture. 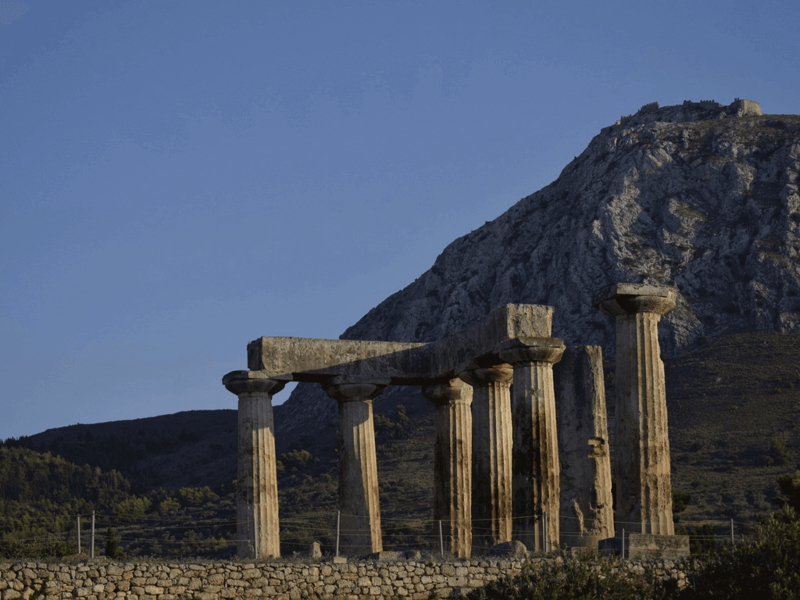 With respect to archaeology, Acrocorinth (or Upper Corinth) is home to a monolithic rock rising against a well preserved ancient acropolis, as well as the well-preserved Pirene fountain of antiquity, said to the preferred fountain of Pegasus. 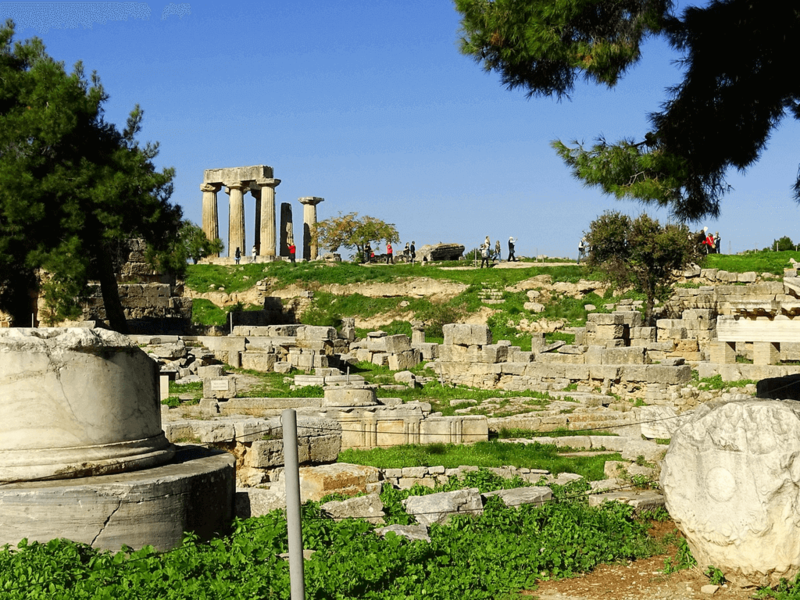 The prefecture is also home to the Heraion near Perachora, a sanctuary dedicated to Hera that’s worth seeing. The mountainous part of the prefecture is ideal for eco-tourism particularly around Stymphalia lake and nearby springs. Doxa lake – an artificially created body of water – looks as natural as ever, surrounded by pine forests and hiking paths. In another part of the prefecture you can find the road that takes to Hiliomodi, Lenia and Agionari, the latter with a medieval castle and a church that has amazing frescoes. 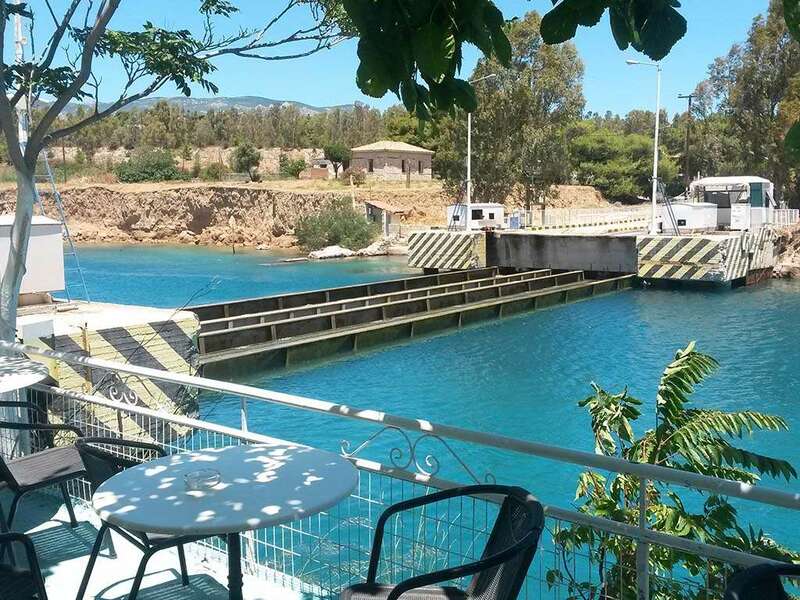 Lastly, there are eco-friendly accommodation choices such as Daphne’s Club and the Ermis Shelter that are very tuned to the environment, eco-tourism and related activities. Outlet and showroom with traditional greek costumes made by Nikos and Aspasia Dosaras, in Loutraki. The 200-metre Pefkias beach of Kato Diminio attracts many tourists in summer visitors, especially in the summer. It’s attractiveness lies in the fact that pine trees are growing very close to the beach. You can rent bicycles from sports facilities near the beach. In Korinthia, you must buy the small, sweet and dark Corinth Raisin. You can learn more about how it is processed and produced in Pyrgos. The town is also where lotuses are cultivated, offering you a new sensation in tastes. Buy lotuses directly from the source for the best variety. If you're in Korinthia in early September, pass by Zemenos for the annual grape festival. In late September there is an apple festival in Manna. Good seafood is common is Western Korinthia, particularly in the picturesque villages between Corinth and Patras (Perigiali, Assos, Vrahati, Kokoni and Velo). Try char-grilled fish, olives, fried cheese and local wine, as well as the octopus which you might see hung out and drying under the sunshine. Many wineries are available that offer you sampling and have workshops that are open to the public, such as the Pirgakis Winery. See more in the Wine section. In summer, the area of Ziria which has a snow resort in winter offers many sign-posted mountain trails to hike on. There is also the Cave of Hermes worth visiting. The green mountain known as Kyllini or Mount Ziria, and the stunning valley of Flabouritsa, offer a unique biotope that is ideal for hiking. You will also come across lake Dasiou, lying in a flower-filled meadow in spring. You can climb Little Zirinia in around three hours, or Greater Zirinia in 3.5 hours. The Cave of Mercury in Flabouritsa (on the western bank) has several chambers and coloured stalactites to delight in. You can climb to Lodges A and B in Ziria by foot. A mountain shelter for skiing in winter (and hiking in summer) is available in Ziria, along with two ski lifts. Slopes lead from the modest shelter to the mountain's summit. Snow-shoeing on the plateau is also available. Loutraki is a bath town, a true bathing resort on the north coast of the Gulf of Corinth. It is famed for its curative water, and is said to cure many diseases such as hepatic ailments, kidney stands, gall stones, indigestion and more. There is a spa in the area housed in a traditional building. There are modern hydrotherapy facilities as well. Also noteworthy are the beaches and hot springs at Loutra Elenis or Loutra Oraias Elenis (the baths of Belle Helene), also in Korinthia. Kryfi Akti Isthmias in Korinthos (the name means ‘hidden coast’). On the road of Diminio, Milissi, Sikia and Xilokastro, there are coasts with little coves and bays that offer more secluded swimming. Loutraki 1 and Loutraki 2, Loutraki Perachora: The beach of Loutraki is quite popular with Greek tourists during summer and can get very crowded. Only 5 kilometres away from the resort of Xylokastro near the village of Melissi, this pebbly beach is home to specific trees that don’t mind the salty environment and in fact thrive in it. About 1.8 kilometres in length, this is a pebble beach also with pines and some flowers that are salt-resistant. Many birds, sparrows and sea-gulls frequent the area. Sykia Beach, Xylokastro: Situated in the village Sykia some three kilometres away from Xylokastro, this pebbly beach also has trees which thrive in salty water. Very close to the road yet very clean with pebbles, around 200 metres long. No water sports, so less populated. In Korinthos (Corinth) visit the Agios Pavlos Metropolitan Church with its rich decor and exhibits, as well as a Religious Museum. The church of Agios Dimitrios in Kato Trikala was constructed in 1697, featuring detailed impressionistic murals that date from the 18th century. In Mesaia Trikala the Catholic Monastery of the Assumption from the 19th century is an interesting stone structure, while Upper or Ano Trikala boasts the church of St Nicolas built in the 19th century with lovely murals and icons. For a more historical setting, ask about the Monastery of Agios Vlasios constructed sometime around 1400, with its serene and magical yard. Also visit the monastery of Kimiseos Theotokou from the 17th century with its amazing murals and the church curved in the rock. The 11th century churches of Agios Vlasios and Agios Gerasimos in Sofikou are also worth visiting. Near lake Doxa visit the churches of Agios Fanourios and the monastery of Saint George which was moved to a higher location as the lake was developed in the 1990s. Korinthia has a few uninhabited islets, called the Alkyonides (Prasonisi, Glaronisi Zodohos Pigi and Daskalio) in addition to others, which could be interesting to visit. It is a mountainous prefecture with the mountains on the western side being the highest. These include Ziria or Kyllini, Saita and Oligyrtos). There are very green regions in the Gerania mountains and in Onia. Sitting under the cherry trees in Evrostina is an experience in itself. The dried up lake of Stymphalia (see below) on the Peloponnese side and salty lake of Vouliagmeni near Loutraki on the mainland side offer great escapes. The latter was actually an underground cave once upon a time which collapsed to yield a lake. The soil around Nemea is dry, yellow and perfect for cultivating grapes. The area is full of vineyards that produce robust wines. The official wine roads of Korinthia include around 15 different wineries and wine estates with vineyards.